9 Pound Hammer Indica: 9 Pound Hammer is an 80% indica strain that crosses Gooberry, Hells OG, and Jack the Ripper. These dense buds are coated in resin, offering sweet grape and lime flavors. 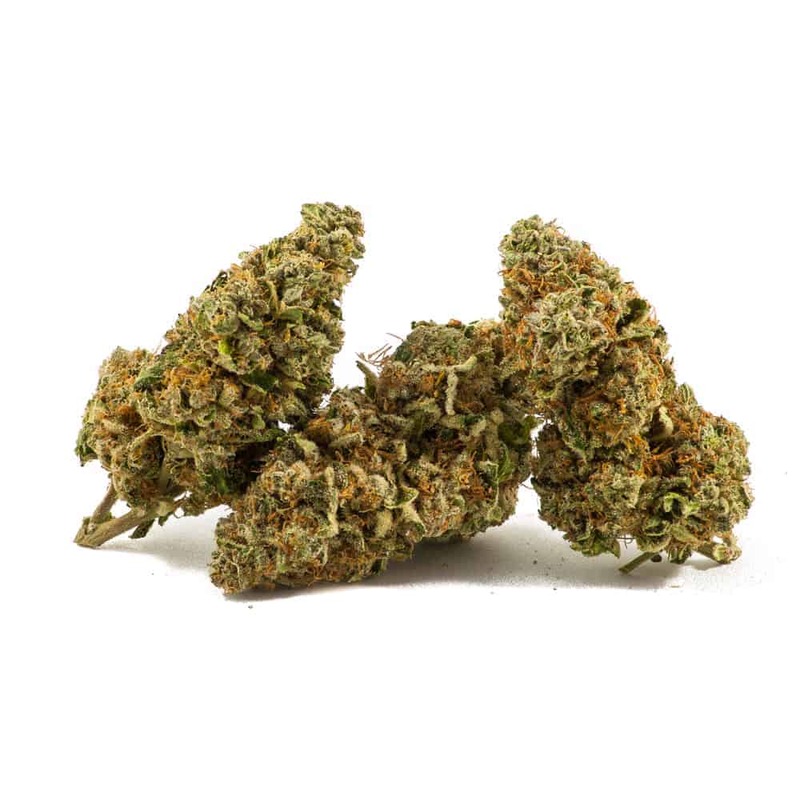 True to its indica dominance, effects are heavy and long-lasting, useful for pain and stress relief. Best grown indoors, 9 Pound Hammer will deliver a heavy yield, flowering between 50 and 60 days. 4 reviews for "9 Pound Hammer – Indica"
9 pounds might not seem like a lot of weight, until you hold it for a while! Love this strain, it most definitely lives up to its name.